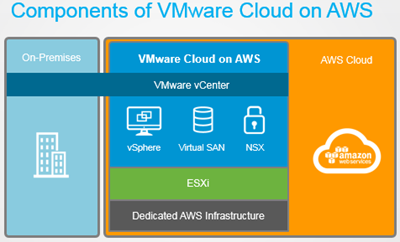 As most of us would be aware, in Oct this year VMware and AWS announced a partnership where VMware Cloud would run on AWS infra…This VMware vSphere-based cloud service running on AWS that will make it easier to run any application and can be also connected to inhouse existing VMware virtual infrastructure…for detailed info please refer to below listed links. For more videos – check out the VMware Cloud on AWS YouTube Playlist HERE. Note: As per the information available so far, As part of the deal, VMware will be AWS's preferred private cloud partner and Amazon will be VMware's preferred partner in the public cloud and VMware Cloud on AWS will go live sometime in 2017.